New beverage makers who are wondering how to find a copacker that they can trust with their production runs don’t need to look any further than Southeast Bottling & Beverage. At Southeast Bottling & Beverage, we have the certifications and experience to provide beverage manufacturers with the comprehensive bottling and copacking services they need to expertly produce their product. At Southeast Bottling & Beverage, we have a newly-expanded, state-of-the-art facility that was designed with RTD (ready-to-drink) manufacturers in mind. The facility is FDA Registered and SQF Level III Certified. In addition, our facilities are Kosher, Organic and HEPA-Filtration Certified, which allows us to cater to a wide range of beverage makers. Furthermore, it has several value-added features to better serve our customers including a separate pharmacy, on-site refrigerated storage, an air-conditioned warehouse and much more. 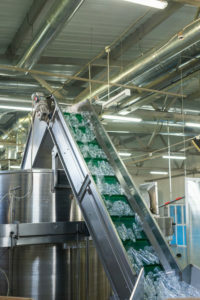 Whether you are a new beverage manufacturer who wants to learn how to find a copacker, an innovator who needs turnkey services to bring your new product to life, or an established brand that needs help keeping up with product demand, we have production options that can be tailored to your exact needs and specifications. If you’ve been trying to learn more about how to find a copacker that serves New York, New Jersey, Texas, Georgia, Tennessee and other states throughout the US, turn to the experts at Southeast Bottling & Beverage. Contact us today to discuss your new or established product and let us show you how we can exceed your copacking and bottling needs.